Most would think tortoises can't play the keyboard...but they would be wrong. Super soft and super cool! 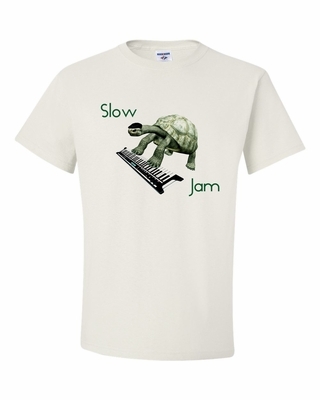 Our slow jam t-shirt design highlights a super cool (not square) beret wearing turtle - rocking out on the ivories - not sure why people love this Slow Jam shirt - they just do. Remember� you found the Slow Jam Shirt at TShirtHub.com, where high quality came at a low price.